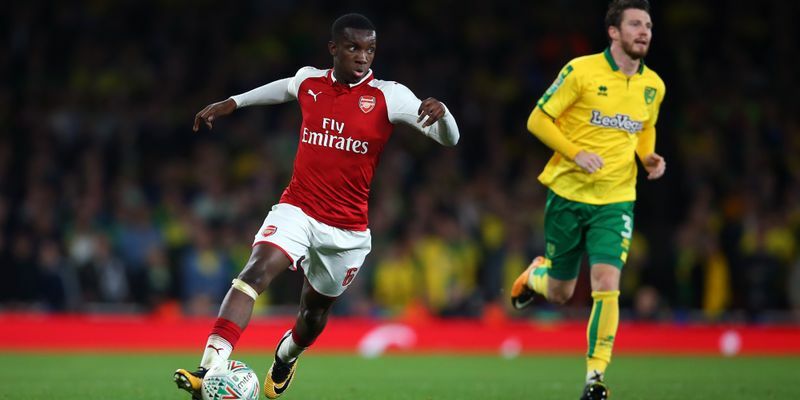 Substitute Nketiah became a hero for Arsenal as his performance saved the Gunners from an early exit against Norwich City. Norwich started the game in a confident manner and their positive display rewarded in the 34th minute when Josh Murphy netted his fourth EFL Cup goal of the campaign. The hosts were trailing and struggling to create chances, but it was Nketiah who came as a savior and leveled the encounter in the 85th minute. In the extra-time, he rose to the occasion again and scored the winner in the 96th minute. Claudio Bravo’s brilliant performance helped Manchester City to beat Wolverhampton Wanderers in the penalty shoot-out yesterday. During the match, Bravo made three big saves to keep his team in the hunt as the game ended goalless in regulation time. He continued the same in the shootout as well as he denied Alfred N'Diaye and Conor Coady in the shootout. Meanwhile, City cashed in on all four of their spot-kicks, with Sergio Aguero coolly sealing their victory with a Panenka. During regulation time, Sergio Aguero and Raheem Sterling had their chances to score but failed to do so. Similarly, Wolves also tried to create moves as well but they also were wild in front of goal. However, Wolves became the first team this season to stop the free-scoring City from getting onto the scoresheet. Defending Champions Manchester United, too, reached the quarter-finals with a comfortable 2-0 victory at Swansea City. Swansea, who entered in this game with eight changes failed to match the Manchester side as they were outclassed in a one-sided affair. United took early control in the match through Jesse Lingard, who was setup beautifully by Marcus Rashford in the 21 minute. Lingard, then, added a second on the hour mark to put the visitors in complete control. United will now wait for the draw that will take place after tonight's round of games.